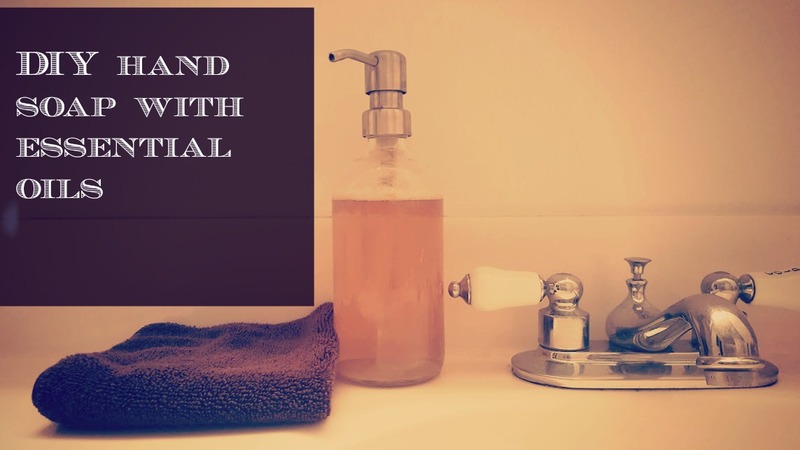 My Essential Ventures: DIY Hand Soap with Essential Oils. I was making coffee this morning and noticed that I was completely out of hand soap, so I thought I would share with you guys how I make my hand soap. I made 2 batches. One for the Kitchen sink and Bathroom sink. Don't judge, we have been using Dawn and Soft soap, we are washing our hands. We all get busy, yeah? Few things before we start. Above is the bare minimum you will need to make the soap. 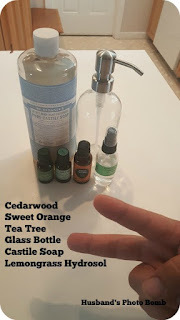 You can add other ingredients to make it your own, like I have done here with the Hydrosol. You don't have to make it fancy, simple is nice too. IMPORTANT NOTE: Do not use the same oils every batch, switch up your oils to avoid sensitization. Also it is very important to dilute your oils as well. Both is explained better Here. For this Blend I used. Journal to keep track of what oils you have used. I don't do exact measurements, so my blends never come out the same. 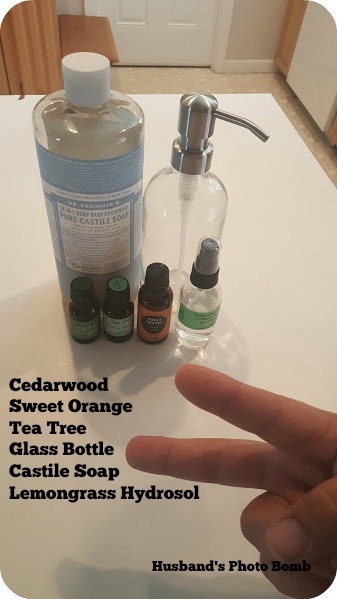 For a 16 oz bottle I put roughly about 200 drops of oils. Some oils come out really fast, so I start with less drops then I should to accommodate. Choose how you want the oils divided up, and add your drops. Then add the Castile Soap about 75% full, then fill the rest with the Hydrosol. Make sure you don't fill it all the way up leave a little room at the top. Shake it up and make sure it gets mixed up really well, this is why you don't fill it all the way up. I have had soap foam and come out of the top while shaking it up. Makes a huge mess. Oils will sit at the top you'll have to shake it a little before each use. I like making my own hand soap so I can customize the scent and uses of the soap to fit my families needs. For example the blend that I just made for the kitchen is aimed for my husband. He had been complaining that the skin on his hand is peeling so I choose oils that he wouldn't mind and could help his skin. 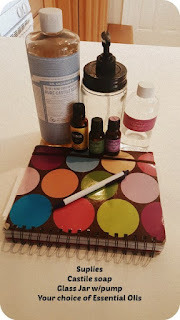 The blend in the bathroom I aimed at my kids they use that one the most and school starts in two weeks so I used oils that helps kill germs well, and scents that they like. Happy blending!! Have a great week! What a great idea! I have so many oils and have never thought to do this. Thanks for sharing this at the #happynowlinkup! Thanks! I love to mix new blends each time so they are never the same!